Among the great war monuments in America, the Vietnam Veteran’s Memorial in DC, designed by Maya Lin, is perhaps the most elegant and simple. The stark black wall with the etched names of over 58,307 American servicemen killed and missing, always moves me when I see it. It also makes me reflect that no one really had to die or go missing. The USA was not being threatened, even remotely, by North Vietnam. Tibet was invaded militarily by Communist China. Over a million people died. Many tens of thousands of Tibetans were killed fighting for their nation, their civilization and their leader, the Dalai Lama. Exile-Tibetans have been diligent in building many grand monasteries and temples but not a single memorial has been erected to honor those who fought and died for their country. In a small gesture, a consolation prize perhaps, we bring ourselves to honor their memory every 10th of March, in a solemn ceremony. But to truly honor we must first of all remember. The problem is that most of us only have a cursory grasp of what actually happened in Lhasa in ’59, except for the fact that there was a big uprising during which the Dalai Lama escaped to India. To meaningfully honor the brave men and women who took part in the Uprising, we must first remember them. The trick to remembering is nailing down specifics: names, faces, bio’s, photographs, films. Forget the high sounding abstractions, grand speeches and trumpet calls. 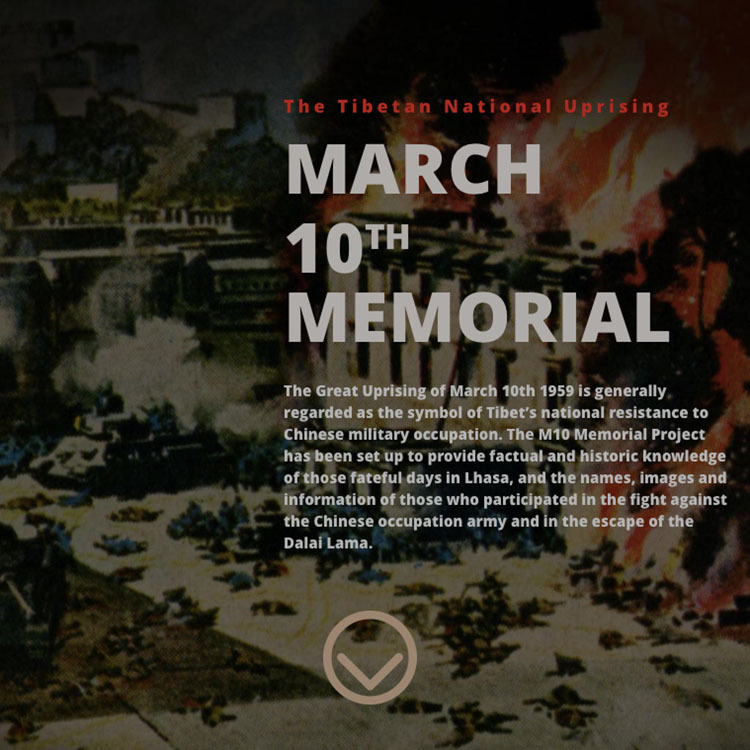 The M10 Memorial Project has been set up to provide factual and historical knowledge of those fateful days in Lhasa, and the names, images and information of those who participated in the fight against the Chinese occupation army and in the escape of the Dalai Lama. This project is only a small beginning. We call on scholars, researchers, surviving relatives and friends of the fighters and activists, in fact anyone might have a single name, one blurry photo or just a line of information, to contact us and help make this a memorial worthy of our fallen heroes. The principal feature of this website is the REMEMBRANCE WALL (pawo pamo drendhen chakri). 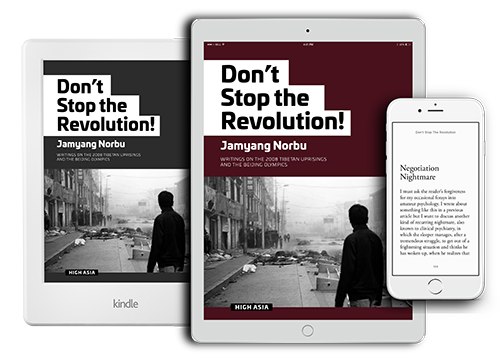 On it are photographs and names of fighters and activists from all walks of life as the blind beggar Tsesum who acted as a courier and a spy during the fighting, to the famous Tsarong Dasang Dadul who directed the Tibetan forces. We also have names and images of soldiers, officials, housewives, merchants, shokeepers, monks, nuns, aristocrats and citizens who volunteered to defend the holy city. To make sense of the tumultuous events a TIMELINE OF EVENTS has been provided as well as a dynamic zoomable and draggable MAP OF LHASA CITY. An IMAGE HISTORY OF THE UPRISING provides rare photographs not only of the fighting, but also the Dalai Lama’s escape, among other features. The official Chinese propaganda documentary film PUTTING DOWN THE TIBETAN UPRISING in 1959, can be viewed on the website in the next few days. We will also have INTERNATIONAL PRESS REPORTS of March 10th, CHINESE OFFICIAL AND PRESS REPORTS, as well as cartoons and article from the Tibetan language TIBET MIRROR PRESS, also available for downloads very soon. Many more features will be addded on the website in the coming months. The most important of these will be the Tibetan language version. I must also thank Kungo Barshee, Dasur Namgyal Wangdu, Manang Sonam Topgyal, Yaptsang family, Mrs. Dhakden la, Jhangdre family, Youdon Aukatsang, Sonam Nyatsatsang, Jampa Yangchen Surkhang, Thonsur family, Paljor Tsarong, Karma Zurkhang, Thupten Tsering la, Mrs.Ngodup Wangmo Sampho, Mrs. Diki Thondup,Yeshi Dolma la, Lisa Cathy, Isrun Engelhardt, AMI director Tashi Tsering, Peter Brown, Champa Namgyal, Martin Braun and my wife and partner Tenzing Chounzom, for their invaluable contributions to this project. A special thank you must go to my old friend Christophe Besuchet for his outstanding graphic and digital artistry which he brought to bear in creating this website, and also for his unflagging work (over three decades) for the Tibetan cause which is manifest in his many other amazing projects. A fitting tribute. Preserve the history, don’t let it fade away. Thank your Jamyang Norbu la for this valuable Memorial Tribute! 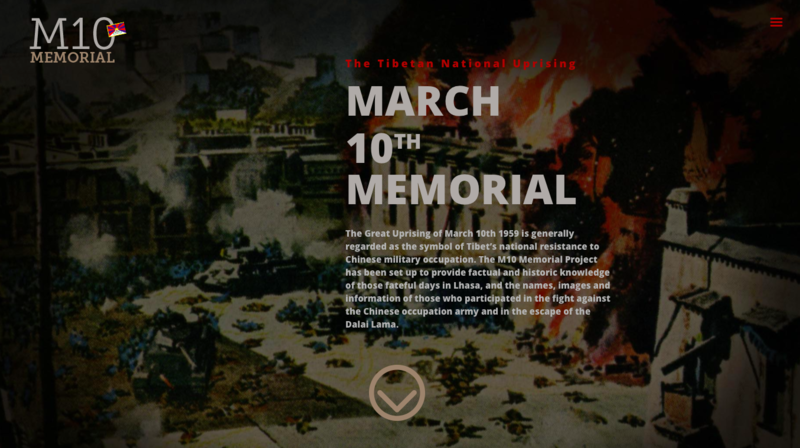 M10 Memorial Project is certainly a very honorable step every Tibetan shoud join and support. The current CTA has only mader a dismal record on the matter. It is sad that the current Tibetan election cycle is consumed by personal attacks than solutions that matter. How said that the incumbent Sikyong, true to his personal gratification seeking habits, has even shamelessly used US presidential candidate Hillary Clintion’s display of a photo of the 16 year immolations as a tool of election campaign without giving credit where it is. Jigme Tenzin, a union lease in Minnesota,must be gasping for air. How disgusting to say the least. Thank you and all involved in creating this memorial wall. I could only remember few names of our patriots but with this wall, we will remember who have sacrificed life for Bod Rangzen. Thanks for the memorial. I have a copies of bunch of press-clippings about March 1959 and His Holiness’ coming into exile. If useful, will post a copy. Just let me know where should I mail it. 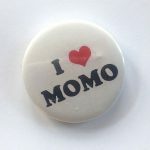 Thanks Kawa la, just mail it me at 1809 Bear Court, Monteagle, TN, 37356, USA. The fate of our fathers to die beneath blue skies and not be remembered why. And resolve your heart to see the blue skies of Tibet again. 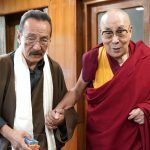 Jamyang Norbu la thanks for your work and for finding ways to honour and spread the message and memory of our forefathers. They were the original freedom fighters who are the real OGs.. WE MUST NEVER FORGET! All the best with your works. 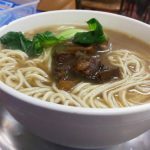 I was wondering about your thoughts on this article by Tenzin Dalha (http://ow.ly/10eeTF). Are you in agreement with its impact on the elections? Lots of material was circulated and still continues to be like the video of Kendroma that’s making the rounds on WeChat. Several days have passed since the Panama Offshore holding – stashing of cash by super rich to overseas to hide their wealth to avoid tax. None of the Tibetan media has covered on it. Is it because our much beloved Xi Jinjing and other top Chinese leaders family are named in the leaked documents. Was your family affected by Cultural Revolution? 50 years since Mao’s Red Guard went on rampant nation-wide destruction sparing not even one. Escape from Tibet documentary: A must watch a documentary (Tibet) for Tibetans who are born in exile to see the reality (sufferings) of Tibet and Tibetans. @instead of encouging to go to Tibet, you are suggesting a video! Is this video the reality in Tibet? Highly questionable!